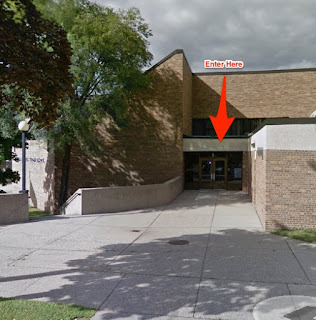 Parents Council meetings are held at the MPS Wilder School Complex at 34th St & Chicago Ave S, Minneapolis, MN, 55407, on the south side of the Wilder Complex. The meeting room, A-128 is one of the ECFE Parent Education rooms. The meeting room can be accessed through Door #2. Someone should be there to greet you when you arrive - if not, there should be a sign with a phone number on it for you to call for someone will let you in! The Wilder School Complex is served by Metro Transit's 5 Bus Route. If you are driving, the best place to park is along 34th Street near the play structure. All ECFE parents, grandparents, and other caregivers are encouraged to attend Parents Council meetings. Feel free to bring an ECFE friend - the more the merrier! If you would like to request free childcare, please call 612-668-2127 by noon on the Monday before the Parents Council meeting. Otherwise, childcare may not be available. * These ECFE Parents Council meetings will be preceded by ECE Council meetings, please join us for both, or either!